One of the reasons why I am travelling to different conventions across the Europe is to understand the fannish ways in all the countries. Yet almost every time when I encounter something really different I am surprised. Lituanicon was not an exception. It took me by surprise and I had to understand and accept its ways. Is it a folly? No, it’s Follycon! I wanted to visit Eastercon since several years but as it is held during Easter (which I am spending with my family) such trip wasn’t possible for me. Yet this year I decided to run for GUFF and thus I excused my family and headed for Eastercon to participate in Fan Fund related items. I wanted to go to Octocon for a few years, but it was usually held on the same weekend as Imladris in my home city and therefore I didn’t have the chance to visit the Irish national convention until now. Fortunately, this year Octocon and Imladris were not held at the same time so I finally was able to visit the Dublin-based convention. 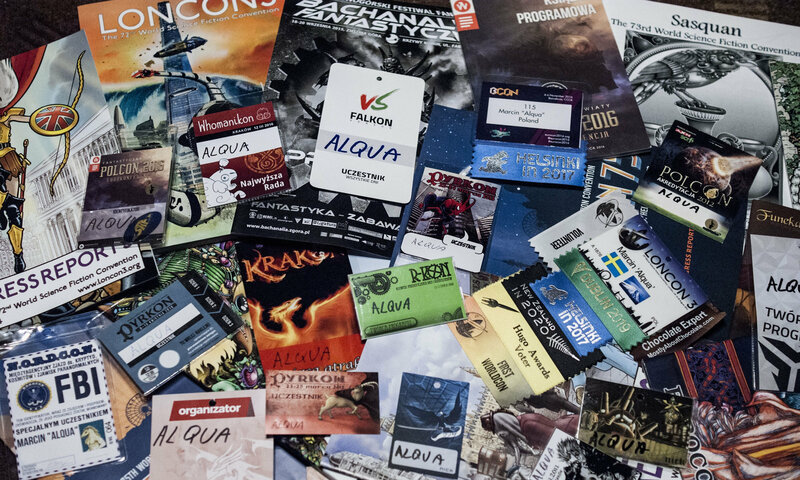 Polcon is one of the most important conventions to me. Since my first one in 2010, I try to attend it each year and till today, I have succeeded with just one exception: in 2015. Every year Polcon takes place in a different city and is therefore organized by someone else. A week ago it was held in Lublin, in the eastern part of Poland. Hod did the Polcon 2017 go?